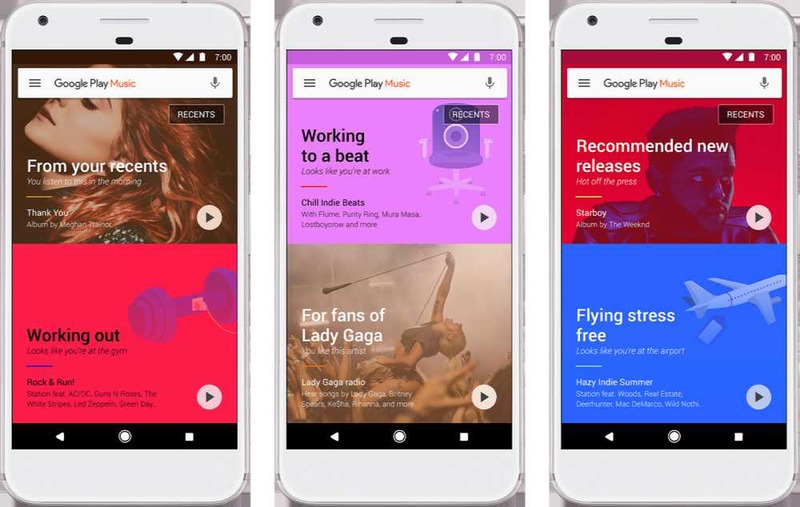 Google Play Music is getting a new look and features. Google announced today that it is updating Google Play Music for Android, iOS and Web offerings. The upcoming update will bring bright new UI with machine learning to deliver what’s relevant to you. Now with every refresh, the app will offer various playlists that have relevance to your past listening habits. Google’s new algorithms will identify where you are and what you’re doing, and change your playlist according to your surroundings. Google Play Music app is also gets a new feature that determines when you’re without connectivity and automatically delivers an offline playlist based on what you’ve recently listened to. Google is working hard to bring more machine learning to improve its services. The new Google Play Music features will roll out gradually to the 62 countries. You can download app from below link.